This is a high solids, single-component, underbody coating formulated to permanently stop corrosion. It protects a variety of substrates from water, chemicals, salt and other corrosive contaminants. 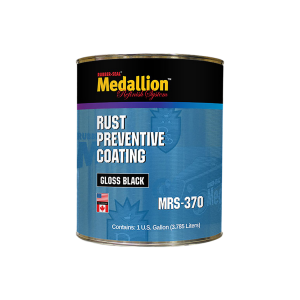 MRS-370 stops rust when applied over a properly prepared rusted surface. It dries to a flexible, rock-hard finsih that will not crack, chip, flake or peel. MRS-370 can be topcoated with an industrial finish to provide UV protection. Available in gallons and quarts.